Women today are fading. In a female culture built on Photoshopped perfection and Pinterest fantasies, we’ve lost the ability to dream our own big dreams. So busy trying to do it all and have it all, we’ve missed the life we were really designed for. And we are paying the price. The rise of loneliness, depression, and anxiety among the female population in Western cultures is at an all-time high. Overall, women are two and a half times more likely to take antidepressants than men. What is it about our culture, the expectations, and our way of life that is breaking women down in unprecedented ways? 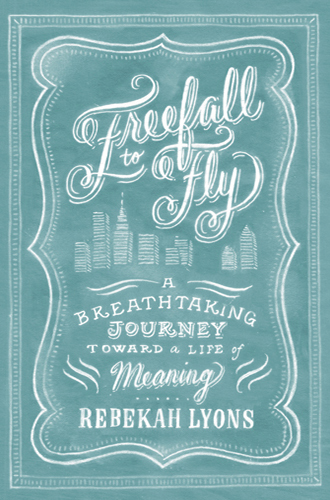 In this vulnerable memoir of transformation, Rebekah Lyons shares her journey from Atlanta, Georgia, to the heart of Manhattan, where she found herself blindsided by crippling depression and anxiety. Overwhelmed by the pressure to be domestically efficient, professionally astute, and physically attractive, Rebekah finally realized that freedom can come only by facing our greatest fears and fully surrendering to God’s call on our lives. This book is an invitation for all women to take that first step toward freedom. 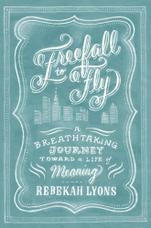 For it is only when we free-fall that we can truly fly.